Were you charged with a DUI and had your license suspended? It is perilous to drive after having a few drinks, regardless of the fact that you are not tipsy. In Broward County, law implementation has included stopping and charging anybody over the limit, and on the off chance that you have been accused of this bad dream, it's time to call Attorney Michael A. Gottlieb, P.A. Broward Criminal Lawyer. If you’re charged with a DUI, it can be terrifying. Being accused of a DUI conveys substantial punishments. If you have been accused of a DUI you need legitimate guidance from a lawyer who is authorized and experienced in criminal defense. Lawyer Michael A. Gottlieb, P.A. Broward Criminal Lawyer has taken care of innumerable DUI cases. He is committed to you and your survival. We will survey each element of your DUI, searching for the defects to endeavor for your defense. If there has been errors in the police system, testing, the capture or other pieces of your case, you can be certain that we will follow up on these truths. Regardless of the circumstances of your case, we are prepared to help you battle your case. 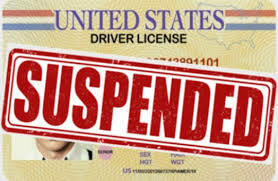 We will help you fight to keep your driver’s license, or have it restored in the event that it has been suspended or denied. If you have been charged with a DUI, don't waste your time; get in touch with us today to talk about your case. We are prepared and waiting to help you.